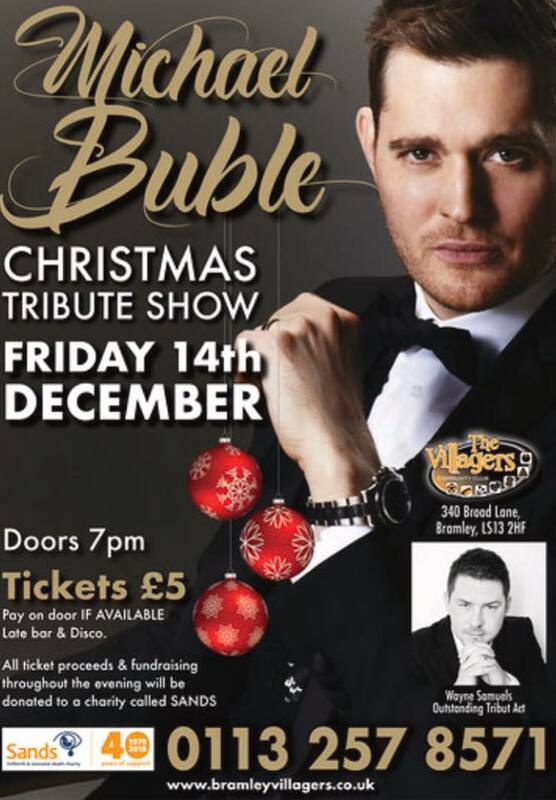 Michael Buble Tribute night in aid of SANDS charity. 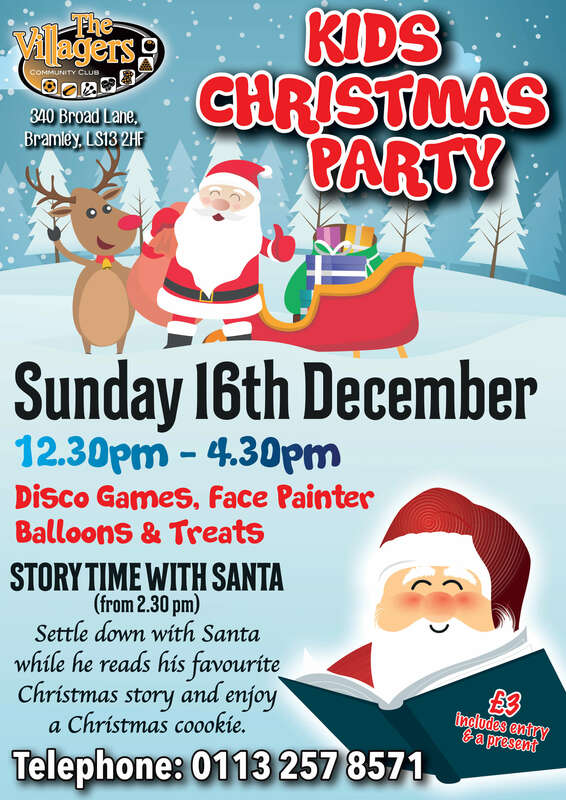 Friday 14th Dec – Advance tickets £5. Pay on door subject to availability. 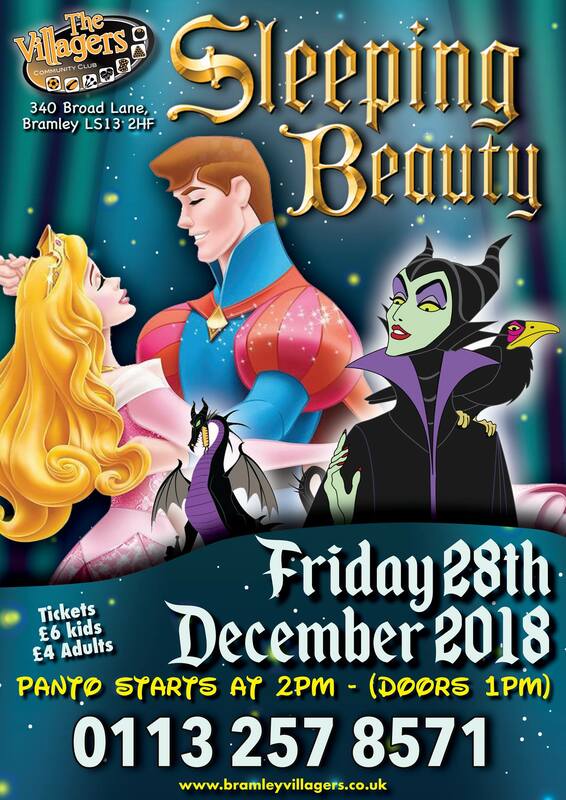 Friday 28th Dec – Doors 1pm – Tickets for children only £6.00. Adults £4. 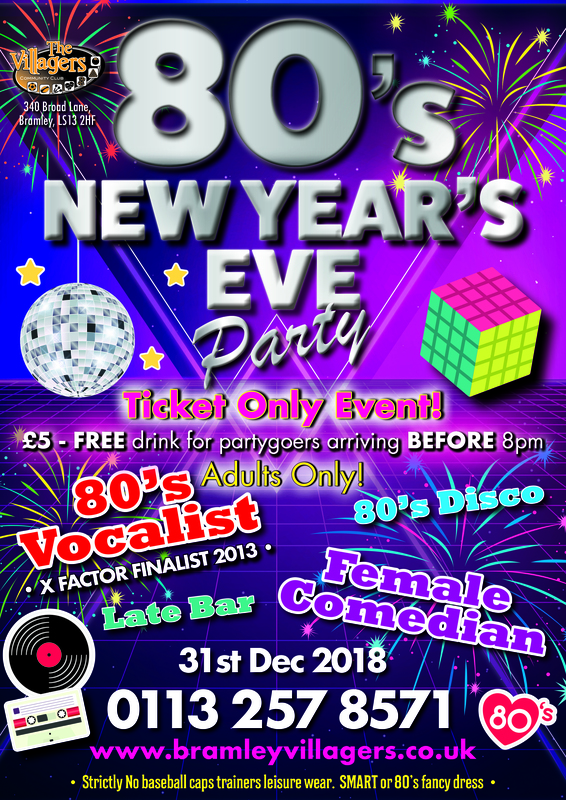 80’s New Years Eve Party – Only £5 ticket – strictly no children on the night. Dress code applies. 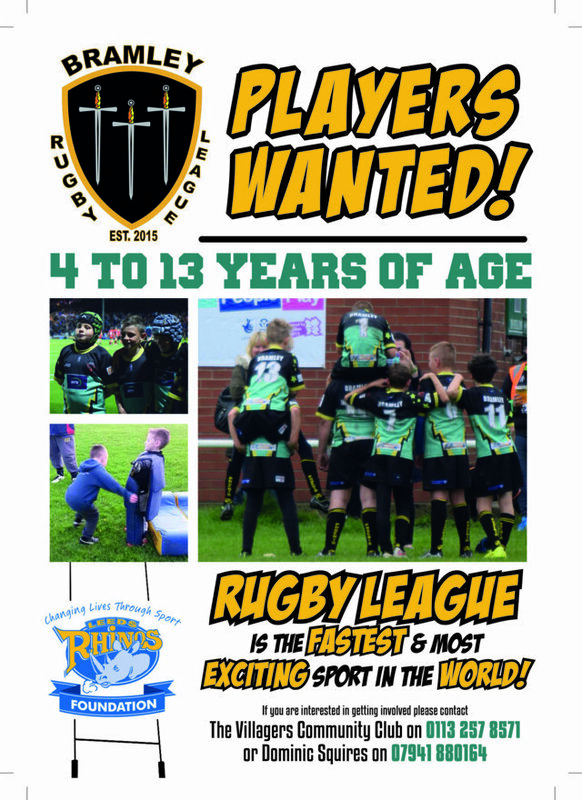 Junior Rugby League Players Wanted! If you have children or know of children who want to give the greatest game of all a “Try” then please get in touch with us. Bramley Rugby league continue to work closely with the Leeds Rhinos and have ambitious plans for expansion. 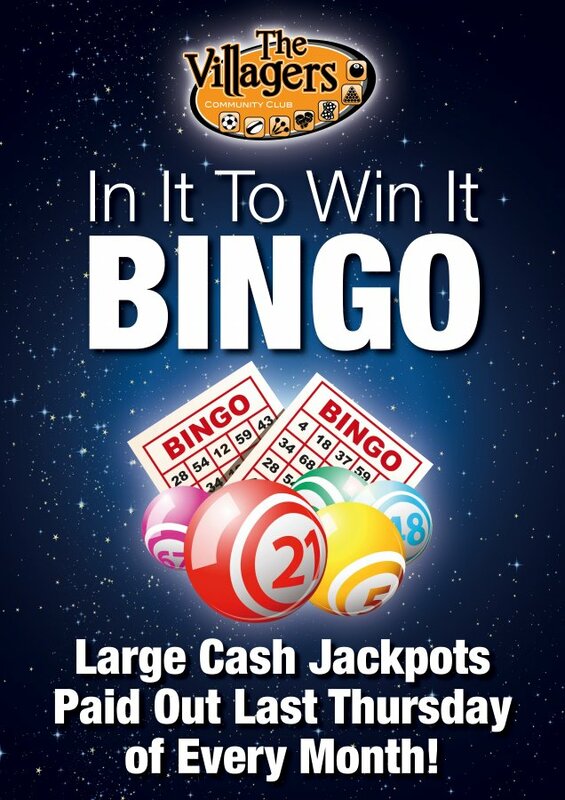 Every Monday, Thursday & Sunday Cash Bingo in the lounge – come and join us for a warm and friendly welcome.